A scammer tried to scam KGW investigative reporter Kyle Iboshi. Here's what he did and what you should do if you receive a similar letter. PORTLAND, Ore. — The one page letter arrived in the mail. It was addressed to me. “I know about the secret you are keeping from your wife and everyone else,” the letter read. I quickly realized, this was the same sexploitation scam we’ve reported on before. 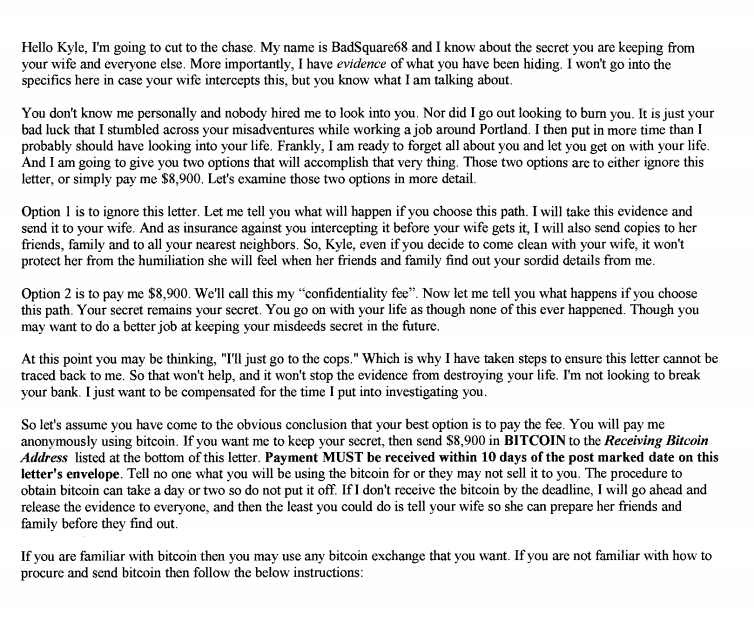 Over the past few months, several people in the Portland-metro area received a similar sounding email or letter. The crooks threaten to expose you if you don’t pay a “confidentiality fee." 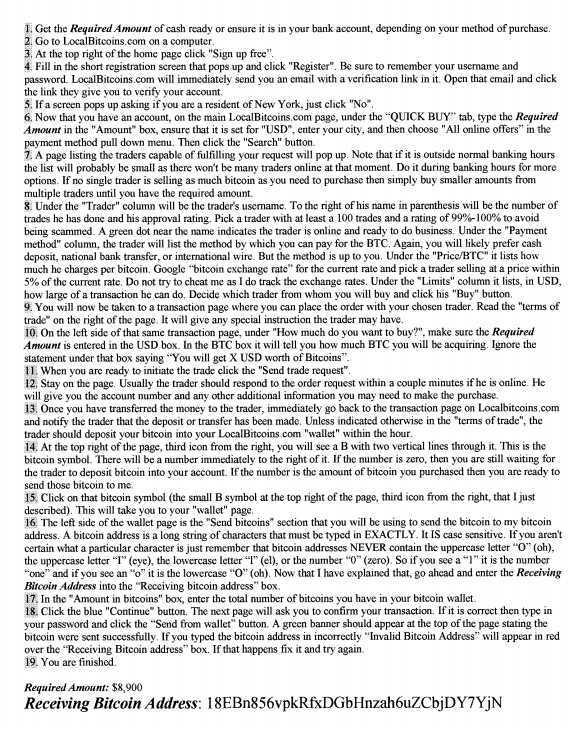 In my letter, the scammers demanded $8,900 paid in Bitcoin. Obviously, I didn’t pay. This was a scam! The letters often reference your name, your address or an old password to try and scare you into thinking they’ve dug up some dirt. In my letter, the crooks mentioned my first name and Portland. Often, it’s basic information that anyone could find on online. I assume, the criminals hope this information makes the letter seem more believable. It didn’t. It’s not clear who sent the letter. The envelope didn’t have a return address, although was post marked Nashville, Tennessee. If you receive a similar sounding letter, toss it. I did. The scammers just wasted their money on a postage stamp.